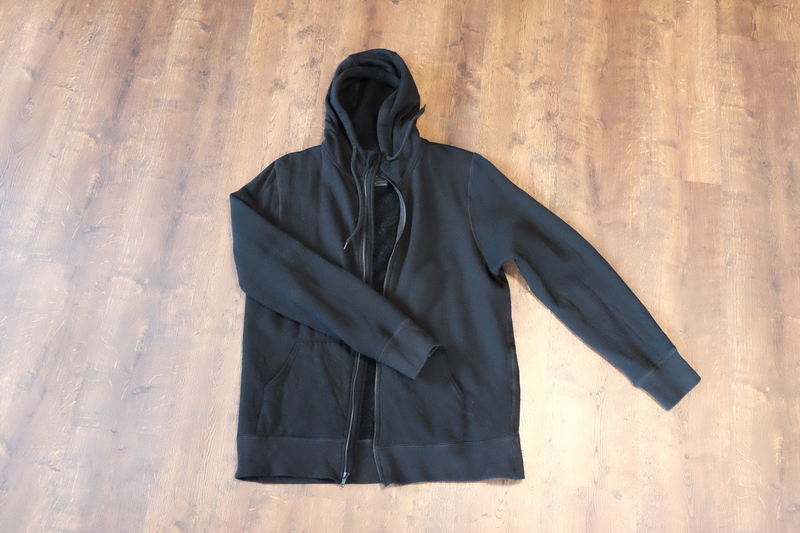 A while back Massdrop held a pre-order for a new merino wool hoodie they were producing. 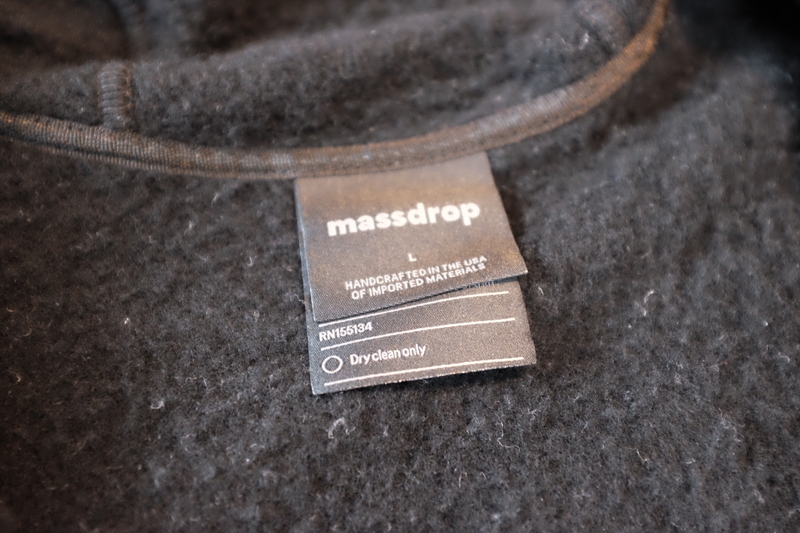 That hoodie, the Massdrop Peak Merino Hoodie, arrived a little over a month ago and I have been testing it. Not just this hoodie itself, but the idea of whether you even need a hoodie made out of merino wool. Let’s dive in. 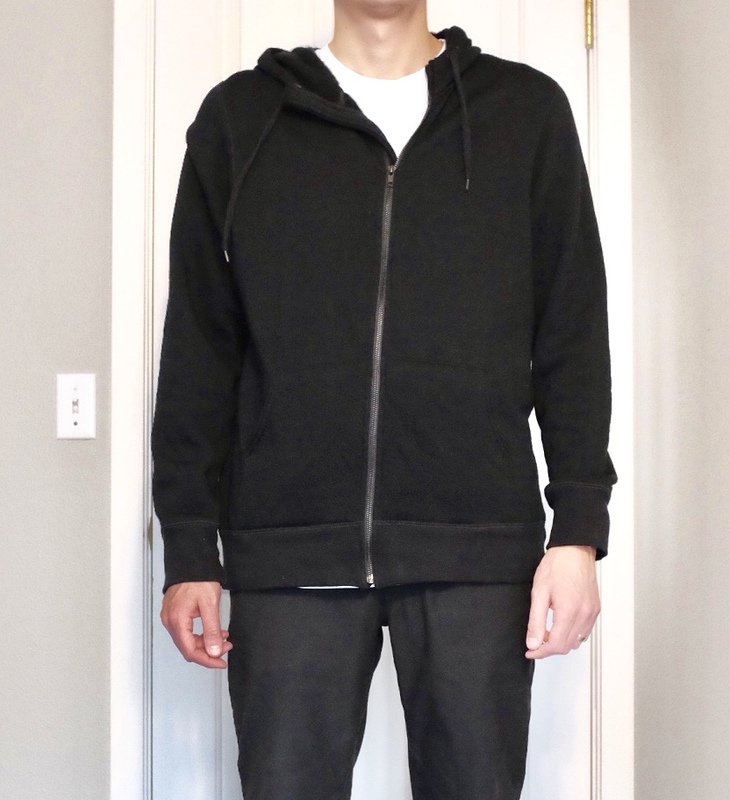 This is a 100% merino wool (19.5 micron) hoodie, but it’s different than any other I have tried. That’s because the inside is brushed fleece wool and the entire garment is 340gsm in weight. The entire garment is way softer than I expected, both inside and out. The outer face is very nice and soft, softer than cotton hoodies. The inside is pure luxury though. The brushed fleece nature of the merino is unreal and feels amazing in the inside. That said, it certainly is prone to leaving you with black lint all over what you are wearing (especially before you wash it). The oddest part of the hoodie is the weight. At 340gsm you would rightly think it is thick, because it is, but is it warm? Not nearly as warm as you would think. The knit of the garment is very open, so wind (even light breezes) seem to pass right through it. However, it is warm when you are lounging about. Perhaps it’s best to look at this as a warming layer, not a warm outer garment. So I went ahead and machine washed this and hung it to dry. It’s still in one piece, but I now know why it is labeled as dry clean only. For starters the hoodie came out of the wash looking dirtier than it went in — it was covered in lint. Nothing I washed with it should have given off lint, and none of those clothes had lint on them — very odd. The real change was to the inner fuzzy fabric of the garment. Like with any fuzzy garment this changed with a wash. Instead of matting down, it got fuzzier and a bit longer. And now it gets an extreme amount of lint on a white shirt. So while you can wash it in the washer, I strongly discourage it. This is geared to be more of an athletic looking hoodie with a form fitting hood. Something you wear while being active. The body and sleeves are longer than most anything you will be used to. I am wearing a size large (my normal size) and the sleeves are great for me — but typically if I am ordering a button down I order a sleeve length of 36”, where a standard large is usually 35” at the most. The fit is also slim, but not that slim. It’s long and narrow for the most part — not boxy and short like most other hoodies you might be wearing. From a style perspective this gives it a bit of a weird look overall and not a standard hoodie look. So if you want something to replace a cotton hoodie, look elsewhere. This doesn’t wow me on the style side. This is a bit tricky to write about, as we have been having an ongoing debate about whether a garment like this even needs to be made out of merino wool. For the most part, we think it’s overkill. But for the purposes of this review, allow me to compare it to the hoodie I normally wear, a Flint and Tinder 10-Year Hoodie. Typically I wear hoodies at the beach and when I am vacationing on the Washington coast. I can wear that cotton hoodie for about 4 days before it smells enough that I want to wash it. With the Peak, I wore it for over a month and only washed it for this review. It still never smelled or looked dirty. You might be able to make a case that this doesn’t really need cleaning as long as you wear a layer between the hoodie and your skin. Is that enough to justify wearing a merino wool garment? I don’t think it is by itself. So instead let’s skip packability and other traits we normally look at — this isn’t packable, nor a travel item. Instead I want to talk about wearing it and how it performs for that. This feels like a traditional fleece jacket in that it is fuzzy and bulky, but the wind cuts right through it. In a house, you are perfectly comfortable. Using it as a layer, perfect. Wearing it alone and expecting to be warm in any wind, not a good idea. That said, I found the actual static weight of the garment, the 340gsm fabric, to be a really ideal weight. It’s comfortable in a warm house, and warm enough when layered outside. I wish all my hoodies were like this, as most run too cool or too warm. This is really in the sweet spot. The worst performance aspect is that this hoodie is a lint and pet hair magnet. If you have any around, it will find it. 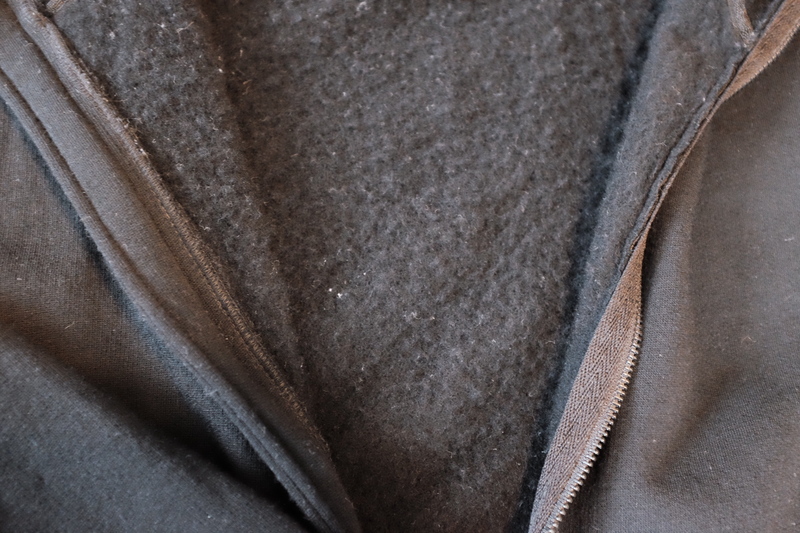 While it does come off easily with a lint brush, my cotton hoodie never suffers this problem. And then there is the delicacy of the fabric itself. It feels very delicate, like it could easily and readily be snagged by anything, which is weird given the athletic nature of the design. However, I did wear it with a GORUCK bag and saw no cause for concern.. Overall, I like it, but I don’t love it. 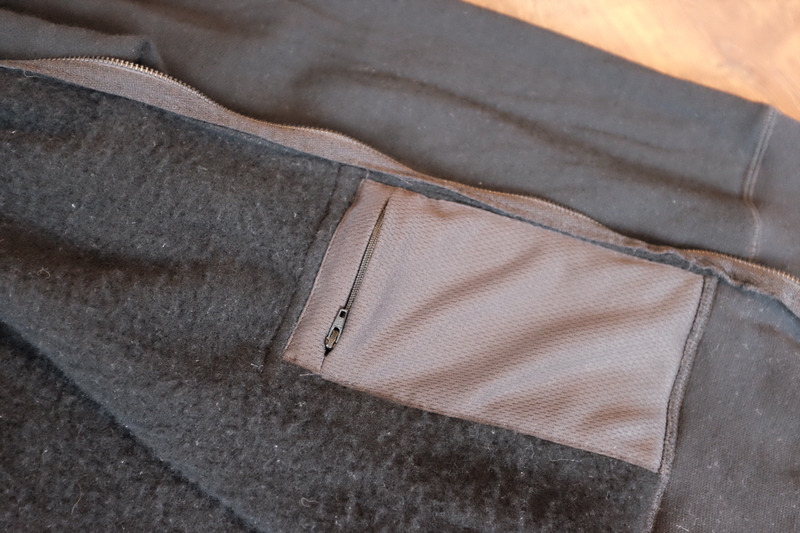 I think the performance benefits from the merino are great, but likely not worth the premium in the price — especially when you consider the extra care and maintenance this garment asks for (removing lint, and dry clean only). 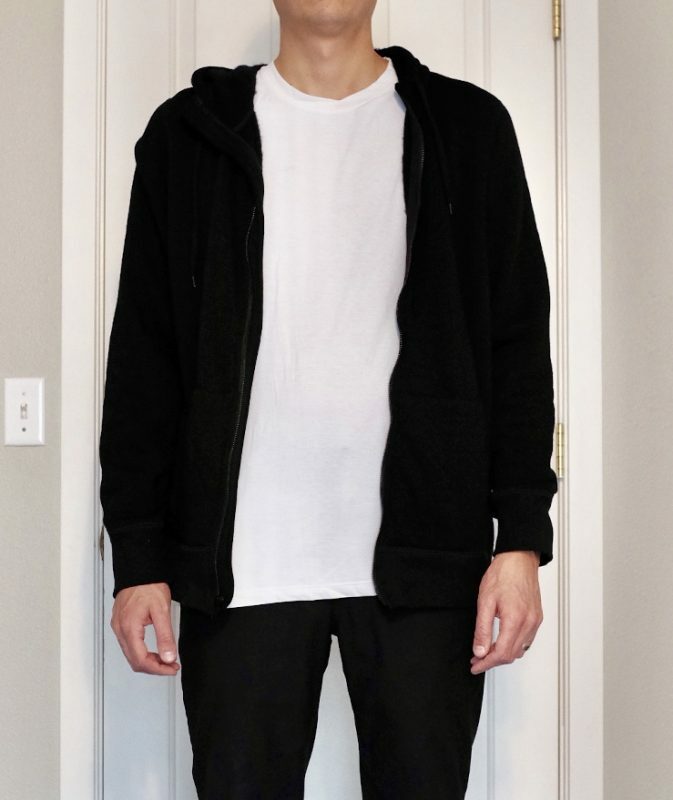 That said, if you want everything you own to be merino, or if you often wear a hoodie without a shirt underneath, then this is a pretty darn good option as it will perform really well. For me, I’d rather stick with a cotton hoodie, or some other more durable variant of a performance hoodie.